Teaching in Mongolia as a group is an ideal way to help at some of the most poorly resourced schools in Mongolia's capital - Ulaanbaatar. Schools are desperately in need of native English speakers to help give the children a better chance to move the country forward. 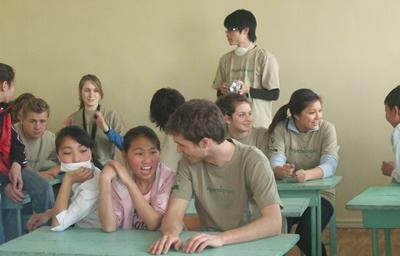 Volunteer in Mongolia and you can gain work experience teaching overseas without the need for TEFL training. You don't need to have previous experience either; all we ask is that you have a good level of spoken English and the energy and enthusiasm to work in the classrooms of the most remote capital city in the world! 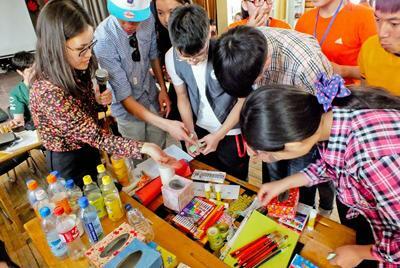 As a group of teaching volunteers, you will be working in kindergartens, primary schools and high schools. There is also the option of spending a day or two each week teaching young adults, between the ages of 18 and 25, at a special needs centre. Wherever you choose to work, the teaching that you will provide will be invaluable to the students and their education. Projects Abroad Mongolia is based right in the centre of Ulaanbaatar, with most of our host families and projects being concentrated around the centre of the city. Ulaanbaatar is an unusual kind of capital city with bars and restaurants but there's a lot of tradition, history and culture too. It's also easy to get a quick fix of the country life while you're based in Ulaanbaatar. The capital is flanked by the 'four holy peaks', with forests and grasslands full of animal and bird life.